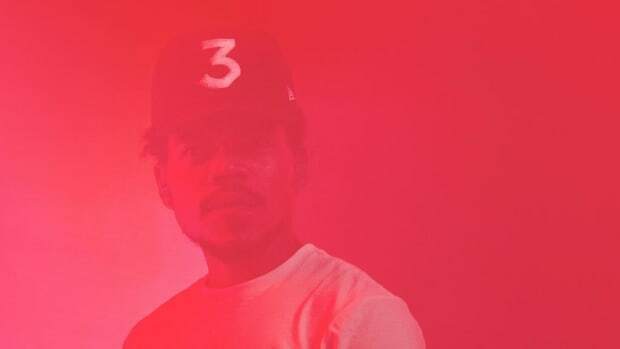 Chance The Rapper’s tight-lipped secrecy about his new album is driving me crazy. This is the album I’m anticipating most, even more than the one by the Photoshopped Gargoyle, and I have no idea when it will fall from the heavens. This feeling takes me back to the torturous weeks leading up to Surf, anxiously awaiting but never truly knowing if today will be the day. To calm the hunger for the new, I found myself revisiting the old, going back and appreciating what&apos;s already been given, moonwalking down Memory Lane. I found myself impressed just by his old music, but even more so by his old music videos. His YouTube channel goes back five years, you can literally watch the high school student who turned a suspension into a mixtape become one of rap’s most promising superstars. 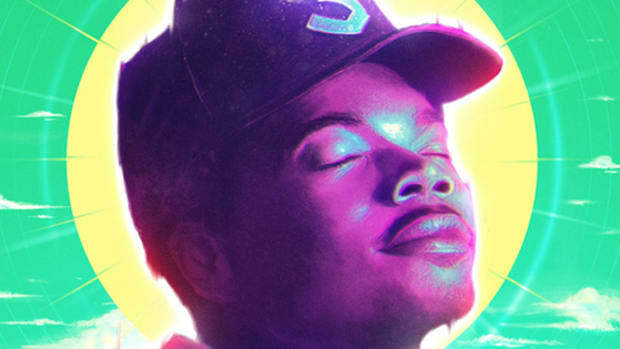 Like every rapper before him, Chance was once young and struggling to make it. Shooting music videos without a budget can be tough on the creative mind but he made do. “Hey Ma” is one of his best. Directed by Elijah Alvarado, the visual opens with a hand holding a photo of a toddler in the bathtub with a soap beard, every parent has a picture of their child like this for embarrassment purposes. 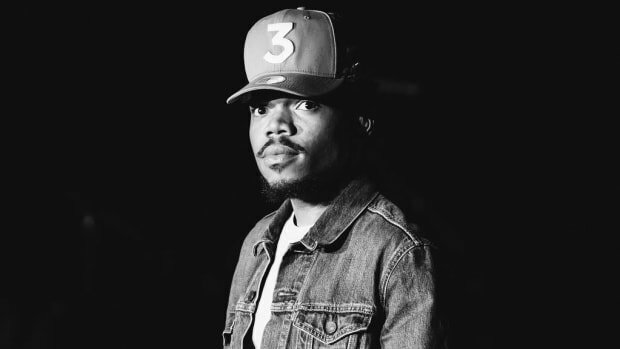 The entire video is structured like a scrapbook of old photos, giving us a glimpse of Chance The Rapper when he was Chancelor Bennett the baby. I like how when it’s Chance and not a photograph on the screen the hand is still there using what I suspect is glass to keep him within the frame of a photo. It’s a little shaky, but it’s not an easy task keeping steady. The concept is cool, creative, especially for a rapper in the early stages of his career. “Family” is another visual from #10Day that caught my attention. Director Young Wonder captures Chance and Save Money as one big family, and like all families, they have a gigantic feast together and then work off the pounds on the court. It&apos;s a simple video that’s good to look back on, capturing a bunch of goofy friends who had big dreams of rap stardom. Look at young Vic Mensa rocking the MJ jersey, now he could probably meet Jordan (if Michael actually liked rappers). 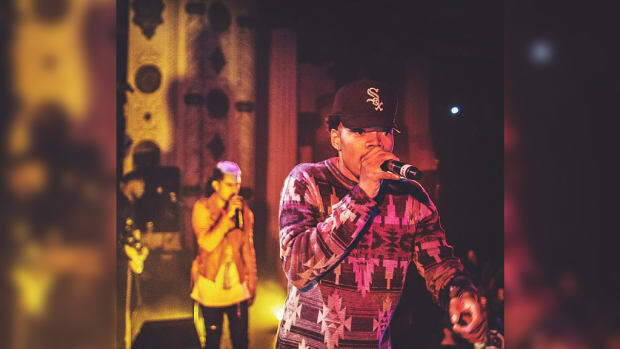 Where did Chance get a jersey that says Bacardi? Looks like it’s a young Saba who tossed his shot at 1:13. The ice cream man with the Bulls snapback is the real star. 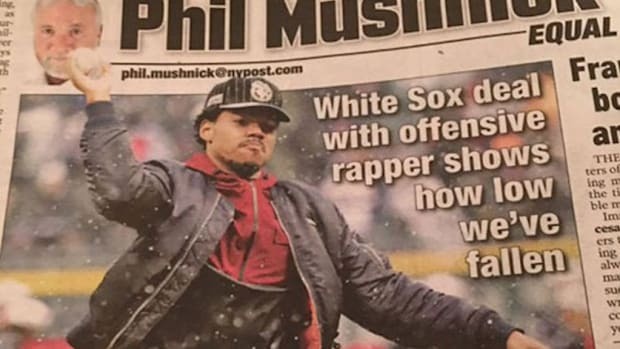 He deserves his own reality series, pretty sure he’s served ice cream to all our favorite Chi-rappers. Imagine the stories he could tell. “Juice” was the breakout video, I remember seeing it on all the blogs. Funny, if this was the &apos;90s it would have been all over MTV. I saw this energetic, young rapper dancing around a deserted Time Square without a care in the world. The first video for Acid Rap and I believe his first video shot outside of Chicago, symbolically this was the moment he was on his way to being bigger than a local rapper. I like how the billboards, the signs, everything is illuminated around him like a light show. This video is cool because it personifies the brightness of his personality and how that feeling is contagious. I dare you to watch this and not feel your spirits lifted. Around that same era I need to also mention “So Good,” an explosion of colors that looks like if your eyes could taste Skittles, but it&apos;s "Juice" that&apos;s the true must watch. “Smoke Again” might be my least favorite Ab-Soul feature but I love the video. Directed by Mike Carson and Mike Waxx of iLLroots, the video is fairly simple, which is good for those who can make the simple appealing. On the surface, the first half is just another video of a rapper smoking weed, but the added effects make for a much more eye-catching visual. They make you feel like you’re right there hot boxing, or at least catching contact. Plus, when was the last time someone really ghost rode the whip? The guy on the hood is who we all should aspire to be one day. The green screen is used during Ab-Soul’s verse, subtle effects. “Everybody’s Somebody” is by far the best video from the Acid Rap era. Chance stands transparently in front of a projector that’s visually bringing to life his every word. It’s trippy, which I believe is the purpose. 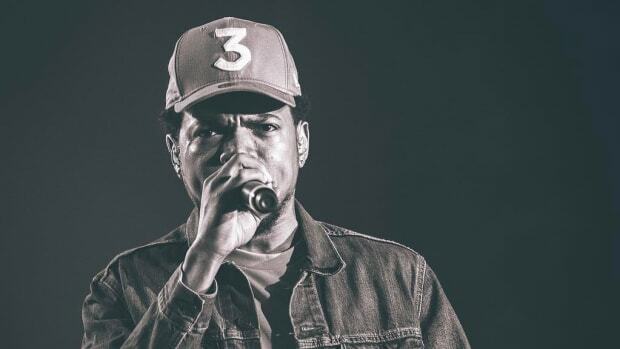 After Acid Rap took over cyberspace, Chance The Rapper was undeniably one of the biggest newcomers to break into the industry, and he somehow did it without ever needing a record deal. He stepped everything up for Surf - bigger features and bigger production. There’s only been one official music video shot for Surf but it’s amazing. 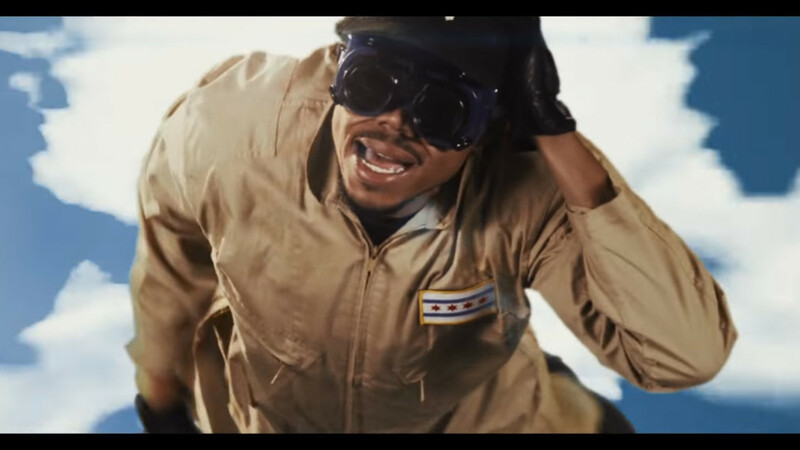 Directed by Austin Vesely, Ian Eastwood & Chance The Rapper, “Sunday Candy” brings to life a musical, school-play style visual that should be on Broadway. The execution is flawless, from the choreography, stage design, fashion—did I mention the choreography is absolutely incredible? Chance took me back to the days of a young Chris Brown getting down. 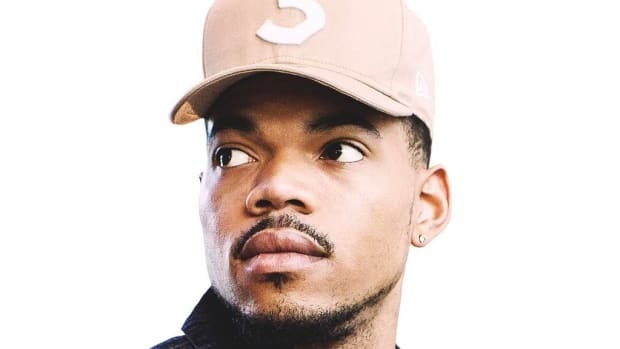 Wouldn’t surprise me if it’s Chance, not Chris, that gets a call for the next MJ tribute. “Sunday Candy” is a stunning video, one of last year&apos;s best, and you should watch it every day for the rest of forever. 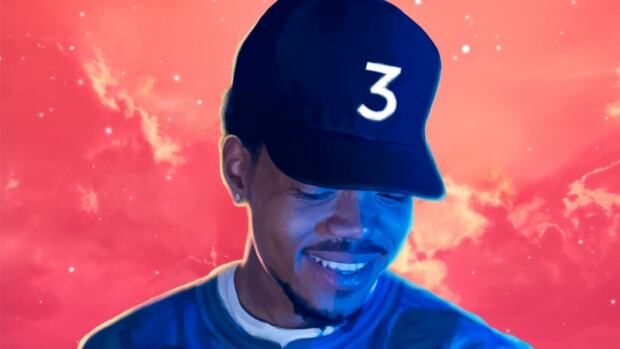 “Angels” is evidence of how Chano&apos;s videos have evolved. No flips are hit but Chance soars through the skies of Chicago like a less intoxicated Hancock. He’s a superhero, not the one played by Will Smith, more like Hebru Brantley’s Flyboy. You can see Flyboy&apos;s character painted as a mural alongside one of the buildings he flies across. Hebru Brand Studios handled the gorgeous animated scenes. Chicago’s CTA train car is also featured, there’s a dozen of dancing passengers that are seen. The city of Chicago is seen from the sky, the train, and the ground. It captures Chance&apos;s love for his city and passion for dancing. The video reminds me of when video choreography was essential. My life goal is to reach the level of happiness that’s expressed on Saba’s face when he’s dancing. These kids are having the time of their lives and representing home to the fullest.